With home based childcare a family member or friend can be supported to care for your child. One of the great benefits of home based care is that someone currently caring for your child in an informal way could have the chance to care for them with the added support of qualified teachers and learning resources. While our team can match you to one of our home based Educators, if you already have the perfect carer for your child, for example, a grandparent or a trusted family friend, but would like to formalise the arrangement, Education Angels can help. Education Angels offers support and guidance to your chosen in home Educator supporting your child’s learning and development. You are still eligible for subsidies such as the Work and Income childcare subsidy, even if the caregiver is related to the child as long as they are not the child’s parent or legal guardian. If you would like to find out more about working with a family member or friend for your child’s care, give us a call. Alternatively, see if Education Angels would be a good fit to provide home based childcare to your family. 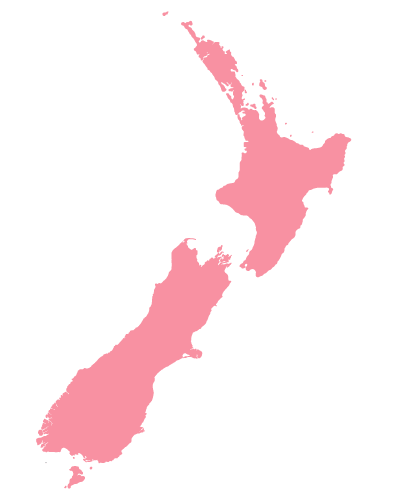 Our team covers the whole of New Zealand. Contact Us today to find out more.